Find out more about our delicious lunches. Our school lunches are cooked on site by Mrs Wilson and they prove very popular with our children and staff! There is a range of healthy options on our varied menu to suits all tastes, diets and needs. The menu is on a 3 week cycle and changes every 6 months. We offer a standard portion of a main meal with vegetables, salad, bread, fresh fruit and drinking water freely available. All medical diets are catered for and our Menu Development Officer creates specialist menus to ensure each child has a meal that meets their requirements. To apply for a medical diet you must have a referral from a medical professional and complete a “medical diet form” which can be obtained from your school. All our menus meet the current Government nutritional standards. For every child who qualifies for free meals due to family income or benefit levels, our school receives the maximum funding (approximately £1300) to support your child through something called the Pupil Premium. It is only available to schools if you apply and are eligible for income based free school meals. With Pupil Premium funding, schools can organise extra help and support for children. Applying for free meals is very quick and easy so if you think you may qualify for free school meals, please still take the time to apply. Even though your child might be able to have a free meal anyway, our school needs the funding that comes from Income Based Free School Meals. 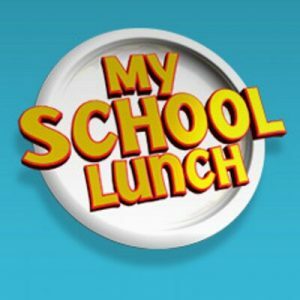 To find out if you are eligible, please go to the Council’s website at www.derbyshire.gov.uk and search for ‘free school meals’. You are also welcome to contact the school office on 01433 630266.